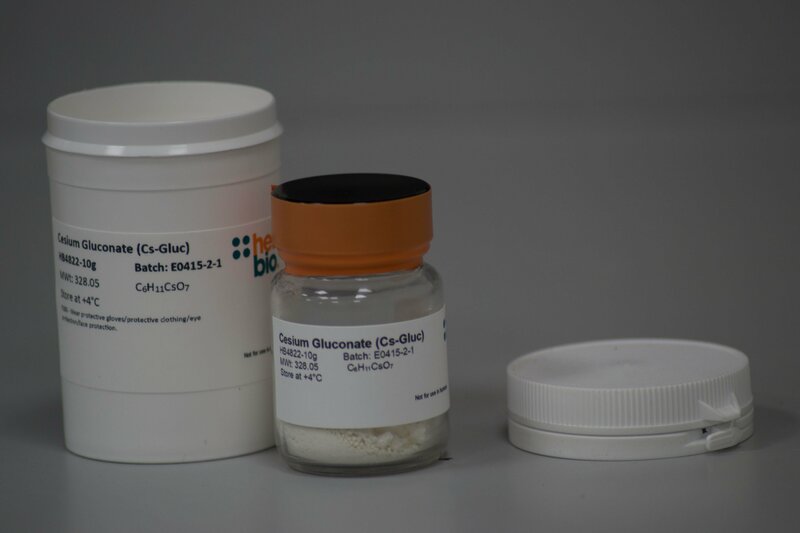 Cesium gluconate is used as a component in cesium gluconate-based internal (intracellular) solutions for patch clamp electrophysiology. Cesium blocks potassium (K+) channels and K+ currents to help provide a good space clamp. Cesium-gluconate based internal solutions are commonly used for voltage-clamp applications and are useful when studying EPSCs (excitatory postsynaptic currents) / IPSCs (inhibitory postsynaptic currents). We prepared a variety of Cesium Gluconate-based intracellular solutions to record excitatory synaptic currents from brain slices using whole-cell patch clamp. 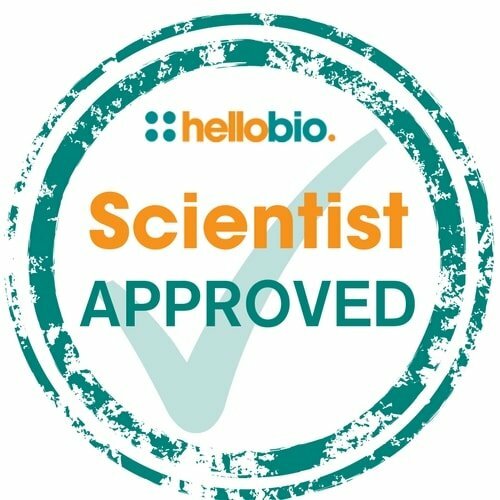 All solutions prepared using the Hello Bio Cesium Gluconate performed exactly as expected, saving us the time and trouble of synthesising the salt “in-house". Analysis of the effects of cesium ions on potassium channel currents in biological membranes. Voltage clamp studies on the effect of internal cesium ion on sodium and potassium currents in the squid giant axon. An ion's view of the potassium channel. The structure of the permeation pathway as sensed by a variety of blocking ions. Rapid and well quality - Hi! thanks a lot for rapid response for my order. So it was a very rare compound used in e-physiology in special conditions. Other big companies don't provide it. High quality fine powder protected against humidity.